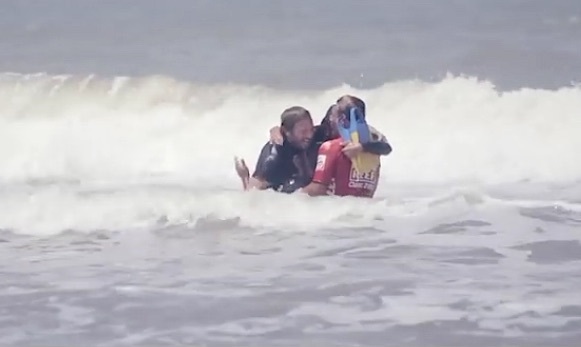 A five-time Argentinian surf champion, Matt Passeri, was set to go for another win, when suddenly he dove into the waves with an unexpected partner. He chose to give up a chance for further glory. Instead, he offered Nicolas Gallegos, a man who had been dreaming of surfing since becoming paraplegic at age 18, the ride of a lifetime. Nicolas longed to be a professional surfer, until an accident left him paralyzed. But on this day, he rode the waves with a man who thought it more important to fulfill someone else’s dream. Passeri forfeited his place in the competition, but called it “the greatest victory” of his career.